Do you know these students, teachers, building? It is believed this is a 1894 photo of a Berkshire School. Is this the school which used to stand on the southeast corner of Berkshire Corners?? Thanks to Terry Easton for sharing this photograph. Purl G Jones is third from the left in the middle row. 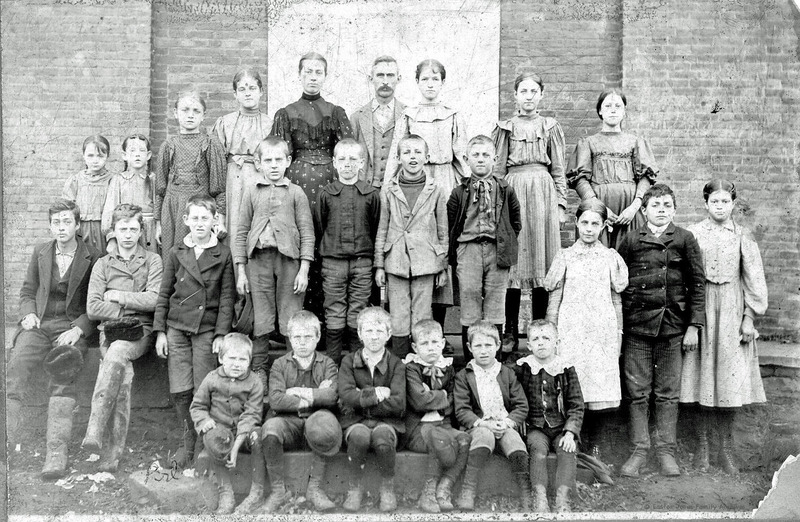 If there was a school in Berkshire in 1894, then this its probably a class picture, c 1894. Purl is third from the left in the middle row.